Leading Antarctica specialists Chimu Adventures is offering the chance for budding adventurers to retrace the steps of one of history's greatest explorers, Sir Ernest Shackleton. In 1914, polar explorer Ernest Shackleton led an expedition to cross the continent of Antarctica from sea to sea. Unfortunately, en-route to the continent his ship, Endurance, became frozen in an ice floe stranding Shackleton and his crew. What followed was one of history's greatest survival stories, which saw Shackleton and his men cross the world's roughest seas in open life boats and traverse the most inhospitable of terrains. Incredibly not one crew member was lost, many owing their lives to Shackleton's leadership and survival instinct. 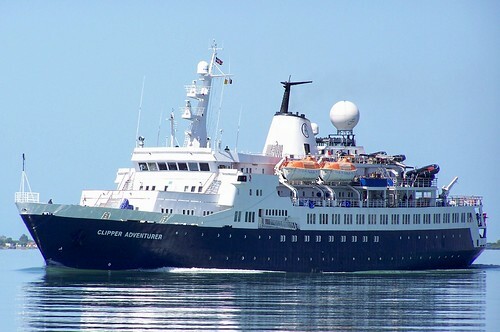 To celebrate the epic journey, Chimu Adventures has launched an exclusive Antarctica cruise on-board the Sea Adventurer, departing Ushuaia in southern Argentina on the 24 February 2014. The 16-day cruise will retrace the path of Shackleton's expedition visiting the island of South Georgia, Shackleton's final resting place, the South Shetland Islands and Antarctic Peninsula. The ship's zodiacs will also attempt a landing on the famous Elephant Island, the starting point of Shackleton's 800 nautical mile journey in an open life boat to South Georgia. On-board the Sea Adventurer, passengers will be entertained by a few special guests - Australian TV presenter and Golden Logie nominee Andrew Denton and award winning artists Wendy Sharpe and Bernard Ollis. Commenting on the upcoming voyage Andrew Denton said: "I am a self-professed Antarctica enthusiast. So far I have visited the white continent four times, and I can't wait to go again. Antarctica is a true wilderness: beautiful, hostile, fragile. I'm always amazed at how many colours there are in the white." Artist Wendy Sharpe said: "Seeing Antarctic was without doubt one the most incredible experience I have ever had. The colours of the ice, sea and sky are unimaginable. I can't wait to go back, especially as on this trip we will see more penguins and seals. Every photo I have seen is astonishing and I'm very much looking forward to painting it." Artist Bernard Ollis said: "Antarctica still feels like the final frontier for an artist. The amount of paintings or drawings actually made there can still be counted by hand. I feel this voyage will be powerful on many levels and challenge my pre-conceived perceptions. I am looking forward to producing an exciting body of new work." Funds raised by the cruise will be donated to the Mawson's Huts Foundation, which helps conserve the historic huts used by Australian Explorer Douglas Mawson in Cape Denison.